Get Featured on the WomenArts Facebook Page! During the month of March WomenArts will pick one event from our new SWAN Day Calendar every day to feature on the WomenArts-SWAN Day Facebook page. We will also be picking events from the calendar to use in our newsletters. If you want to get picked, make sure that your SWAN Day Calendar listing really shines! Pick A Good Picture! Many people will be viewing your image on their cell phones, so pick a photo or design that will shrink well. Close-ups are better than group shots. Action shots are better than head shots. Simple designs are better than designs with a lot of detail. Tell Us What's Special! Use your event description to tell the world what is special about your event. Write a couple of sentences about the artists or your artistic goals that will get people interested, and then make sure you tell them everything they need to know to get to your event at the right time and place. Always double-check your times, venue address, and spelling! For additional tips about posting your SWAN Day event, please visit our SWAN Day Calendar Help Page. Two Great Scripts for SWAN Day Readings! Have you thought about gathering some friends for SWAN Day to do a reading of short plays by women in your home, school, or other favorite spot? Two scripts that will work especially well are: Seven, seven short plays about remarkable women leaders; and We Are Theatre, 27 plays about gender equality compiled by the Guerrilla Girls on Tour. 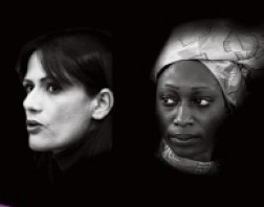 A riveting piece of documentary theatre, Seven tells the true stories of seven women who bravely fought for the well-being of women, families, and children around the globe: in Russia, Cambodia, Guatemala, Afghanistan, Nigeria, Pakistan, and Northern Ireland. The playwrights are all award-winners: Paula Cizmar, Catherine Filloux, Gail Kriegel, Carol K. Mack, Ruth Margraff, Anna Deavere Smith, and Susan Yankowitz. Order the script from Guerrilla Girls on Tour ($10). 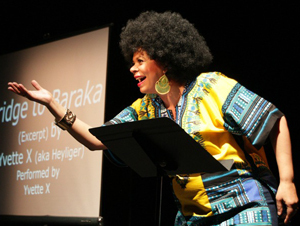 In 2012 the Guerrilla Girls On Tour asked 27 women playwrights to create short plays, songs, skits or spoken word pieces about sexism in theatre as part of their annual protest of the Tony Award ceremonies. To submit listings for the #StageOpps or #ScreenOpps newsletters, please write to stageopps@womenartsmediacoalition.org or screenopps@womenartsmediacoalition.org.